Case Coffee Roasters is a coffee roasting company based in Ashland, Oregon. Our mission is to seek and find the best coffees on the planet. As a roasting company, we care deeply about the producers that grow our coffees and it's our greatest joy to connect with them at farm level. My husband Tim Case and I started Case Coffee Roasters in 2006. As our company grew we made a conscious decision to ethically source the sweetest, most sustainable coffees on earth. We bring these coffees back to Oregon and roast them in small batches, leaving all the sweet, complex flavors intact. Tracing our coffee back to the soil in which it grows allows us to learn the story behind the coffee and share it with you. Tim's entrepreneurial drive was obvious at an early age, starting his own paper route at age 10, working early mornings before school to save up for a new snowboard. This same drive led him and his wife, Kati, to jump head-first into starting a business at a young age. They opened their original Case Coffee location in 2006. 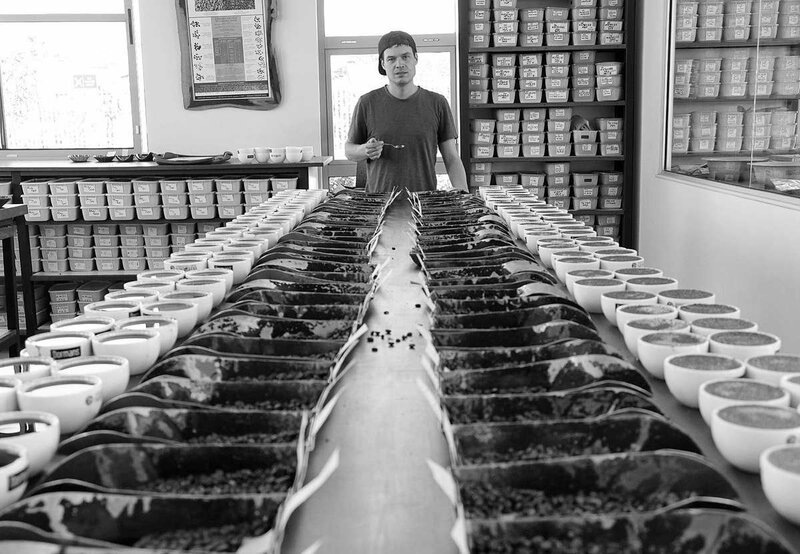 Discovering that he loved coffee, as well as business, Tim purchased a vintage coffee roaster and learned everything he could about roasting, eventually roasting for their own store and building a strong wholesale following as well. Realizing that good coffee always starts with amazing green coffee, Tim ventured into coffee sourcing and now travels regularly throughout the year as Case's green buyer. When he's not out finding the best coffees in the world he spends time surfing, split-boarding, fly fishing, mountain biking and hanging with his 8 year old son. 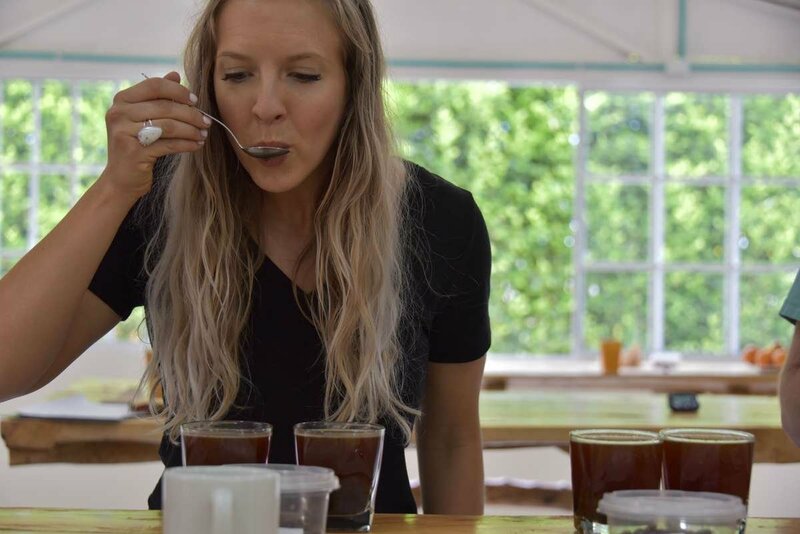 Kati's experience in coffee goes back almost 16 years when she landed her first job at a coffee bar. Her dream for Case is to not only serve amazing, incredible coffee but to do it with kindness in a place that people feel like they belong. Kati is a green coffee buyer and also oversees the cafes and wholesale accounts. She loves to read, split-board and travel with Tim and their son Yonnie. We want to offer you an astonishing coffee experience and that begins with finding the best green coffee we can. While visiting coffee-growing countries we seek out sweet, clean and complex coffees with the goal of building lasting relationships with the producers who grow them. Our goal is complete transparency in all of our transactions and we pay well over Fair Trade prices for every single coffee. It's very important to us to share with you where our coffee comes from and create a connection all the way from seed to cup. Subscribe to be the first to hear about new arrivals and exclusive products. Our mission is to seek and find the best coffees on the planet. We bring these coffees back to Oregon and roast them in small batches, leaving all the sweet, complex flavors intact. We love drinking good coffee and can't wait to share a cup with you!